Tickets for Evita are not yet on sale. Booking Form: you can download a booking form for each show and send this to our box office with a cheque. Book Online: you can choose your own seats and pay online using our web-based box office. Book by Telephone: you can call our box office direct and purchase tickets with a credit card: 0333 666 3366. Face-to-Face: you can book unnumbered balcony seats from our friends at the Newbury Building Society in West St Helen Street, Abingdon. 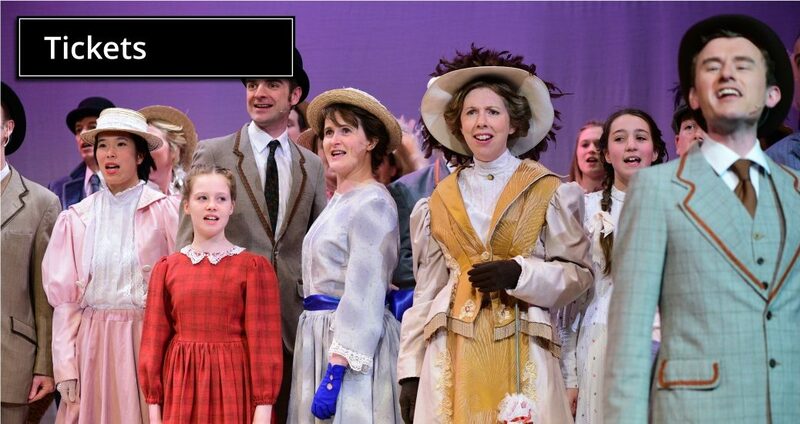 If you have any queries regarding our ticket booking process, please contact us via tickets@abingdonoperatic.co.uk. We perform at the Amey Theatre at Abingdon School on Park Road. This spacious theatre has a capacity of 450 and the raked seating gives everyone a clear view of the stage. The orchestra pit in front of the stage ensures that the musicians are at the heart of the theatre without obscuring your view. The Amey Theatre is close to the centre of Abingdon, with ample free car parking available. If you’d like to be alerted the moment tickets are available to book, why not subscribe to our tickets email using the form below.